SEO is short for search engine optimization. In simple terms, it is the method of constructing, changing, and engineering a website so that it is easily picked up by the major search engines. This will also determine how highly a site is ranked within the search engine listings (search engine results page or SERP). Without an SEO strategy in place, your website will not rank well, and may not rank at all, effectively being invisible. Search engine optimization boosts a website’s prominence in search engine results and increase the online presence of a business. Some knowledge of a search engine’s algorithm — in other words, how the engine determines where results appear in a given search — is generally required in order to optimize a site. SEO takes advantage of a positive feedback loop inherent in most search engines: The more visitors a website has, the more prominent it becomes in search results (i.e., the higher its ranking); the higher a website’s ranking, the more visitors it tends to have. 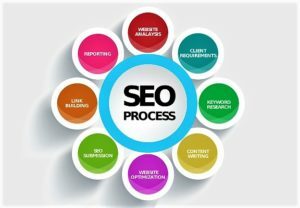 A number of SEO techniques include linking between a site’s pages, using keywords relevant to a site’s primary subject, and keeping a site current, since updates can bring search engines back to sites they previously “crawled” (collected data from). Both the editorial content and the HTML code of a site may need to be adjusted in the optimization process. SEO can also involve marketing efforts meant to maximize the number of links from other sites to the site being optimized. Google is known for valuing quality inbound links, also known as backlinks. These are links from some other website to yours. The higher the sites that are linking to you rank, the higher your site will. The more times this is done, the more important your site will seem to the search engine. SEO’s effectiveness as a marketing technique depends on the nature of the site being optimized. 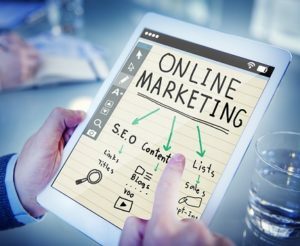 The quality of a site, the extent to which its owner can analyze the traffic it receives, and its conversion rate (how many visitors actually give the company business) can be just as significant in online marketing. While appearance and design are important when visitors arrive to your website, search engines do not take note of these things. Text is what they are looking at. Text is what tells them what your website about, and where it should be placed within their listings. In the future search engines will be able to better index and categorize pictures and videos, but for now TEXT is king. Because of this fact, keywords are an important part of SEO. Keywords are words, or string of words that are used throughout the site to help the search engine be able to easily determine what the website is about. Choosing the correct keywords is key. A website’s decision to emphasize certain words or phrases is usually based on several factors, including what users are most likely to search for, which keywords its competitors employ, and which words best reflect the site’s identity. Learning how to SEO becomes increasingly difficult over time. This is because about the time that one feels that he or she has it figured out, new technology changes the rules of the game. For this reason, those that have little knowledge of SEO, yet are serious about owning a high ranking site, should considering hiring a SEO firm or professional that guarantees results.